Aquila dredge­s up memori­es of her trauma­tic past in order to shine light on lesser-known atroci­ties of confli­ct. History is always written by the victors, and in the case of the 1971 war, the dominant narrative has been that of atrocities committed against the Bengali population. But in her upcoming novel, Of Martyrs and Marigolds, Aquila Ismail dredges up the memories of her traumatic past in order to shine a light on the lesser-known atrocities of that conflict. “My mother forgot how to speak Bengali after the trauma of 1971. It just went out of her head. She cannot speak it to this day,” says Aquila Ismail, as we sip tea in her sitting room on a winter’s evening in Karachi. One of the few Biharis who managed to flee Bangladesh after what is known in that country as the War of Liberation, Aquila now lives in the UAE. But over 250,000 of her fellow Biharis still live in squalid conditions in Bangladesh today, as a stateless minority. While the atrocities of the Pakistan Army against the Bengali population during the war are well-documented, little is known about the plight of the Biharis who were left stranded when East Pakistan seceded in 1972, and what they suffered during and after the conflict. According to some estimates, 750,000 Biharis were left in Bangladesh in 1972, and not only did they face persecution at the hands of Bengalis, they were also disowned by Pakistan and became stateless overnight — in December 1971, while Pakistani army personnel and civilians were evacuated from Bangladesh, the Biharis were left behind. But curiously, little has been written about the persecution faced by the Biharis. That is now changing. Last year, Sharmila Bose’s Dead Reckoning generated controversy for suggesting that Bengalis were not just passive victims, but committed “appalling atrocities” in the war for their liberation. 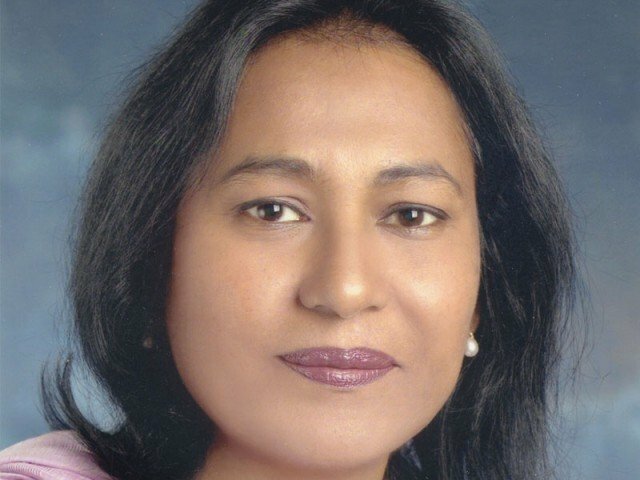 Ruby Zaman’s novel Invisible Lines with its half-Bihari heroine also brought out hitherto unrecognised dimensions of the conflict. This year, Aquila Ismail comes out with her Of Martyrs and Marigolds, a fictionalised account of the conflict, based on her own experiences. 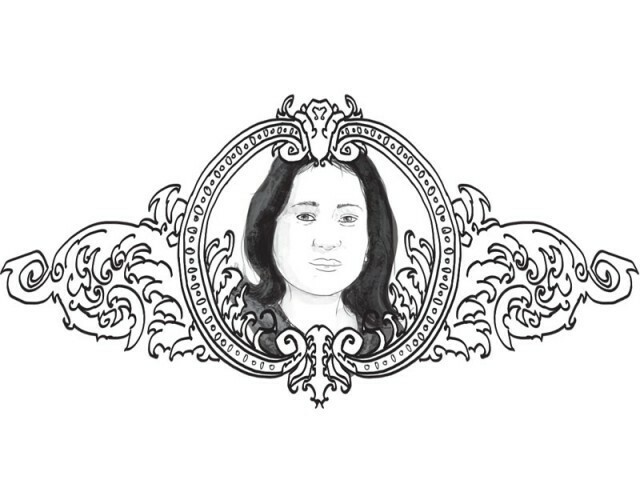 Aquila, who grew up in East Pakistan, and is fluent in Urdu, Bengali and English, remembers a time when there were no distinctions between herself and her Bengali friends. “There was no division between the Bengalis and us. All my friends were Bengali. We never felt a difference — till 1968,” she says. That, of course, was the year that Ayub Khan initiated the Agartala Conspiracy case against Sheikh Mujeebur Rehman — the leader of the Awami League — accusing him of conspiring to secede from Pakistan. “My friends used to tell me: ‘West Pakistanis are trying to crush the Bengalis.’ So I used to think that Ayub Khan’s trying to crush us as well,” says Aquila. But this sense of oneness with her Bengali compatriots was about to change. In 1970, Aquila applied for admission at Dhaka University. Given an option between Urdu and Bengali as a vernacular subject in Intermediate, she had opted to learn Urdu since Bengali was already such an essential part of her life. Placed on the Honours list, Aquila should have been a shoo-in for admission. But to her dismay, her name didn’t show up on the list. When the family tried to find out what went wrong, they were told that since Aquila had opted to take Urdu, “she couldn’t be from here”. The problem was resolved when her father got an affidavit saying she was indeed born in East Pakistan, but a line had been crossed. “Everything was smoothed over but we began to feel that we were being singled out,” she says. Still, at the time of the 1970 elections, Aquila’s family voted for the Awami League. The results of that election, of course, changed the course of history. Sheikh Mujeeb’s Awami League won a sweeping victory. Meanwhile Bhutto, who had won a majority in West Pakistan, began to delay the formation of the National Assembly with the support of the West Pakistani establishment. Jubilance turned into suspicion in the Eastern wing, finally leading to a mass uprising. In the mayhem that lasted from March 25 to April 10, when the Pakistan Army took control, a large number of Urdu speakers were also massacred by the Mukti Bahini. This is when it began to dawn on Aquila’s family that they were not safe in the land they called home. “Nobody was going to ask me who I voted for, it was just enough that I was Urdu-speaking,” she recalls. When Dhaka fell into the hands of the rebels on December 16, 1971, Aquila’s family assumed that they’d be presented a choice much like they’d been given in 1947: to live in Bangladesh or to go to what was left of Pakistan. But that illusion was quickly dispelled. Non-Bengalis were attacked, branded collaborators, and shot, bludgeoned and bayoneted to death. The Indian troops had been protecting non-Bengalis during the conflict, but as they withdrew, the pogrom began in earnest. When the family landed in Karachi, Aquila’s mother had Rs10 in her purse. Since her father was a civil servant, they were able to re-establish themselves, but even today Orangi Town in Karachi is filled with Bihari survivors who weren’t able to rehabilitate as quickly. In fact, the very title ‘Bihari’ is used to discriminate against these people. “Why are those who came from East Punjab called Pakistanis while we are known as ‘Biharis’?” she asks. Writing the book proved to be an unexpectedly painful process. “They say that when you write, it brings closure, but it actually made it worse. There were so many things that I’d forgotten which came back to me when I started writing. You start thinking: this really happened to me and that’s a pretty strange feeling,” says the writer. Despite all the years, and all the pain, it seems Aquila still has a soft spot for her lost homeland. There are no heroes in Aquila’s life story. While the Mukti Bahini were to blame for the massacre of her fellow Biharis, she also heaps blame on the army and West Pakistani establishment. “The Punjabi bureaucracy used to call them ‘bhookay Bengali’, ridiculing them for being short and dark,” she says. Published in The Express Tribune, Sunday Magazine, February 26th, 2012. The festival remains an oasis for people who love reading in this surreal, violent and sometimes insane city. On the first day of KLF, “the rockstar of Pakistani literature” faced a hall packed with fans. When big people make mistakes its always the small people who suffer. Now this was something that supported my thought that history is based on fallacies and is one-sided at times. The last lines of the article left me frightened about the plights that are being predicted for Pakistanis today! Thank you for the article. Some updates/ corrections perhaps need to be noted. The Bihari’s in Bangladesh have now been given citizenship in Bangladesh since 2008, when the Bangladesh High court ruled that those born and raised in Bangladesh can become citizens, the community then were granted access to identity cards and the right to vote, although its still to be fully completed, the young generation have clearly made their statement and are now working hard to integrate into mainstream bangla society, this may take some time still, but with support and advocacy, especially by the author, I am sure, it will further their cause. Political and ethnic agenda of politicians on both sides and of a neighboring country,and the discriminatory ethnic violence that pursued, initiated merely, on the language that one spoke, was a major tragedy and reflected immaturity and political greed of politicians on both sides of the conflict. This led to humanitarian catastrophe and displacement of millions, many of whom til this day are affected by the horrors they were subjected too. Of Martyrs and Marigolds, would be a good read, as it is written by Aquila Ismail, who experienced the turmoil first hand of which she writes. It is reasonably an attractive novel more due to a female victim author…. I personally think that atrocities did take place against the so-called Biharies at the end of the 1971 war but very tactfully she avoided the role and deeds of the Biharies since 1947 till the 16th December of 1971. It is well documented internationally that Biharies not only killed and looted Bengalies (Friendly Neighbors) but also misled Pak-Army intelligence in translating information. Most of the Pakistan army atrocities initially were led by the Biharies. I would ask readers to read more neural reports on the matter and then the basic charecter of the Biharies would be clear…. C’mon, Rajesh. Give it a break. The first crack in the hearts of Bengalis and Pakistan in 1947-48 was made by M. A Jinnah. Must see the other side of the story..